Kids and Adults Military style dog tag medical alert necklace comes with the medical emblem laser engraved on the front and custom engraving on the back. Comes with a standard 30 inch stainless steel bead chain that you can easily cut to size. 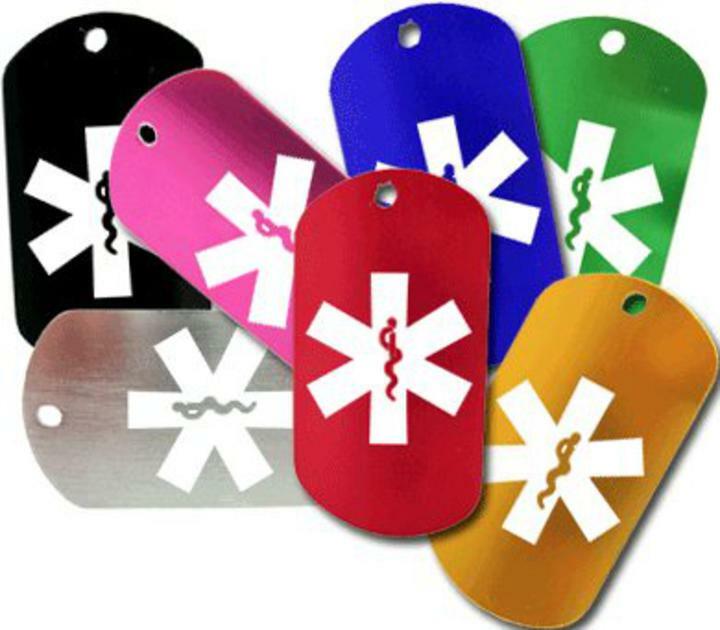 This tag is anodized aluminum and comes with a black silencer. The medical id dog tag measures with silencer 1- 1/4 x 2-1/8. Comes in several different colors and always free engraving.